Requires SMAPI 2.9 or later. See release notes. Requires SMAPI 1.3 or later; for Stardew Valley 1.1+ on Linux, Mac, or Windows. 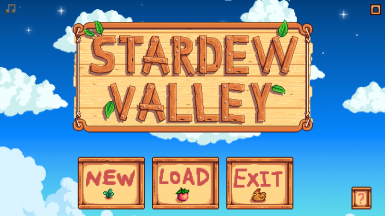 Requires SMAPI 1.8 or later; for Stardew Valley 1.1+ on Linux, Mac, or Windows. Requires SMAPI 1.9 or later; for Stardew Valley 1.2+ on Linux, Mac, or Windows. Requires SMAPI 1.9 or later; for Stardew Valley 1.1+ or 1.2 beta on Linux, Mac, and Windows. Requires SMAPI 1.10 or later. For Stardew Valley 1.2+ on Linux, Mac, or Windows. Requires SMAPI 1.14 or later. For Stardew Valley 1.2+ on Linux, Mac, or Windows. Requires SMAPI 2.1 or later. Requires SMAPI 2.4 or later. Requires SMAPI 2.6 or later. For Stardew Valley 1.3 beta only. Requires SMAPI 2.6 or later. Requires SMAPI 2.8 or later.